"You can't beat getting fibre right to your home." Enter your home street address to see if Fibre to the Home is available where you live. Phone carried over fibre is the same user experience, but carried over fiber optics. These signals are then converted into a traditional signal at junctions to existing phone lines. Fiber optics offers a higher rate of signal travel and allows your home to be reliant on only the most modern cables, which won't corrode or short circuit. Sending signals at close to the speed of light, fibre optic cables are the gold standard of infrastructure. Used primarily for intercontinental undersea cables, fibre optics are the fastest method of communication known today. Wightman extends this system to its users, bringing you the highest speed internet available. With high definition video quickly becoming the norm, cable companies are continually serving the increasing bandwidth requirements of your television. With Wightman, you will have a system more than capable of handling the future demands of high definition and ultra high definition television. 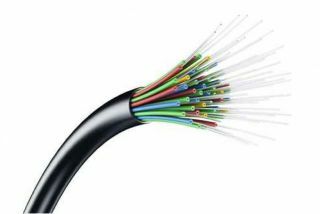 Fibre to the Home uses glass fibre to carry communications signals. It replaces existing copper infrastructure, such as telephone wires and TV cable, with a faster, more reliable method of delivering internet, digital TV, and phone services. Fibre uses light instead of electricity to carry signals, and since light travels so quickly, Fibre to the Home can carry an enormous number of signals to and from your home at previously unheard of speeds. Like water and electricity, a fast connection is an essential utility. Without it, it’s almost impossible to keep up. Learn more about Fibre to the Home. Read about our Fibre to the Home project in Stratford. 2. For those that sign up for Wightman Fibre to the Home or Business internet, TV, and/or phone services, Fibre will be constructed from the main line to your building or home. After a Wightman technician visits your home to pre-survey the installation of Fibre services, the next step is to have the Fibre drop installed from the street to your house. When we know where we want to install the Fibre drop, we will assign a work order to our contractor to have the drop installed. Part of this process is to call for locates of ALL buried infrastructure: Water, sewer, gas, hydro, communications, etc. All buried infrastructure owners are obligated by law to locate their facilities prior to excavation work, however there are a few exceptions. Some buried infrastructure owners may allow our contractor to work under the provision that this work will not exceed a certain depth and therefore locate markings on the ground for those services are not required. As well, telecommunications service providers may choose not to locate their service drops and they accept the risk of the service drop being damaged during activities such as ours when we install your Fibre drop. Our crews will do their best to avoid damaging anything, however, since other telecommunications service providers do NOT locate their service drops, our crews have no idea where these lines are or how deep they are, and they have no way of knowing when something has been damaged. We have a very good track record of not damaging these drops, however from time to time they do get damaged. Please check your services after our crew has installed your Fibre drop to ensure they are still working. If they are not, please contact your service provider for the fastest response. Our crews are not authorized to make repairs to the facilities of other telecommunications service providers without explicit permission. In the event that your services are provided by Wightman, please call 1-877-327-4440 to report the outage indicating that your new Fibre drop was installed recently and you believe the service drop has been cut. Installs are happening now. Read the latest updates about Wightman Fibre to the Home in Stratford! Wightman Fibre to the Home is now in Elora! Wightman has installed more than 100,000 metres of fibre optic line in Fergus so far, and we’re thrilled to be bringing the most advanced technology south of the River in Elora this year.